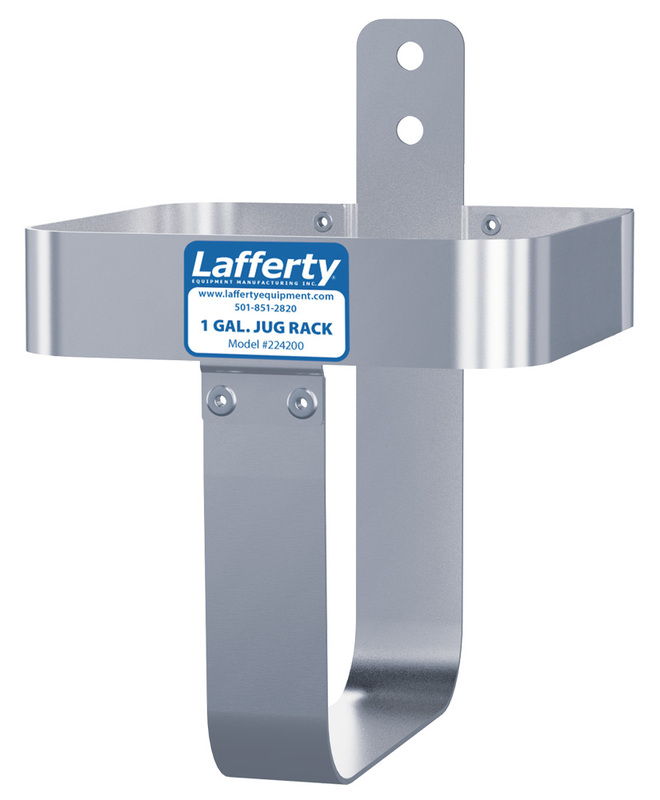 Jug Rack, SS, 1 Gallon, Round/Square | Lafferty Equipment Manufacturing, Inc.
Chemical management made simpler, neater, cleaner and safer - Lafferty. In addition to supplying spare parts for all Lafferty equipment, Lafferty offers many convenient accessories to complement its wide range of chemical application equipment. This heavy duty all stainless steel chemical jug rack is the ideal way to keep chemical jugs and pails neat and tidy and safely off the floor.